Methodism is based on the theology of John Wesley, beginning in the 1730s. Wesley’s influence spread to the Americas by the mid-eighteenth century. While Methodism holds several beliefs similar to other Protestant denominations, John Wesley emphasized what are known as the "means of grace": acts of piety and acts of mercy. Like other mainline Protestant denominations, Methodism believes in salvation through faith alone. It specifies three types of grace: prevenient grace, which is God's active presence in people's lives before they even sense the divine at work in their lives; justifying grace, through which all sins are forgiven by God; and sanctifying grace, which allows people to grow in their ability to live like Jesus. Like many churches, Methodist churches can be decorated quite elaborately with stained glass, marble, etc. However, their decorations are usually more symbolic than literal, such as stained glass windows showing symbols of Christianity, and very rarely will they have any depictions of Jesus or God. The congregation of Grace United Methodist Church can be traced back to 1802, when a traveling preacher passed through Harrisburg and began the first Methodist church there. 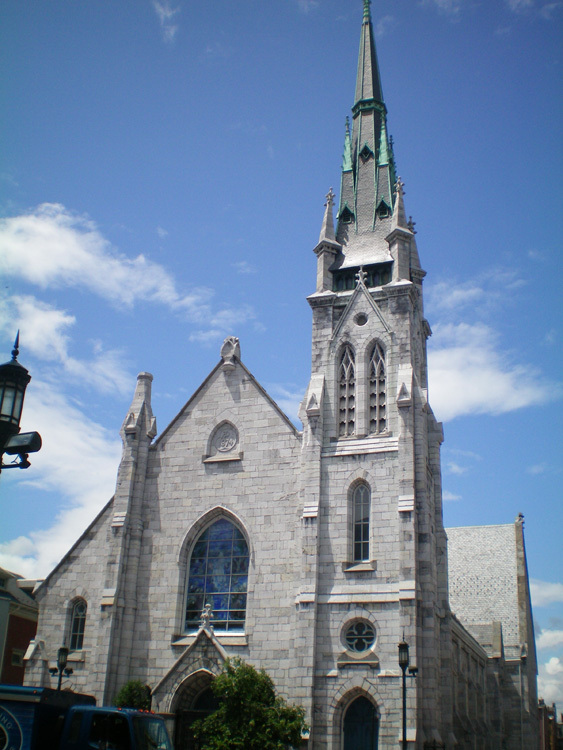 The first permanent church was built in 1820, and the congregation moved in 1839. 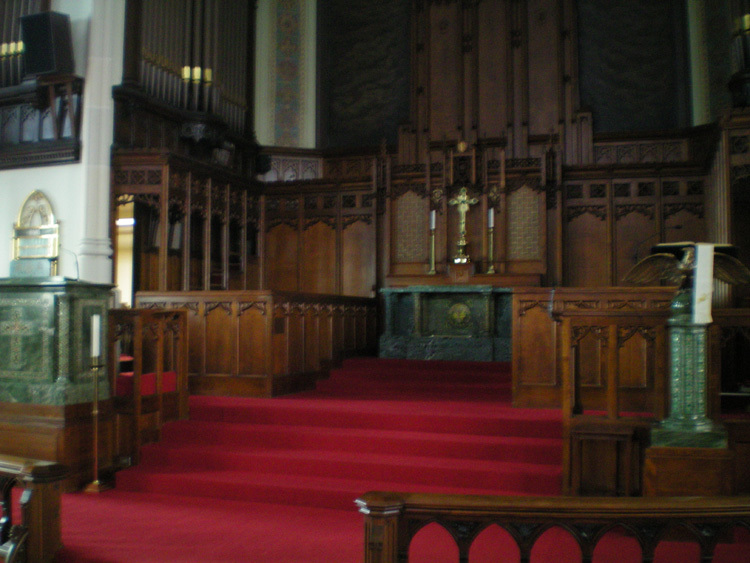 The church was used as a concert hall on one occasion because, at the time, it had the largest auditorium in Harrisburg. The present structure was dedicated in 1878, but the present name was not adopted until 1968. In 1897, following a fire in the Capitol Building, Grace Church became the temporary home to Pennsylvania's legislature. Although only used for this purpose for five months, it took over a year to restore the building for worship.